I've been waiting for official word of Guerlain's Fall 2012 collection since seeing a preview on British Beauty Blogger. The Rouge G L'Extrait formula is a matte liquid lipstick/gloss and I heard they're really comfortable. And new blush duos! Oh my word. Women have the incredible talent to continuously re-invent their femininity. One day she can be an angelic flirt, the next a passionate seductress. 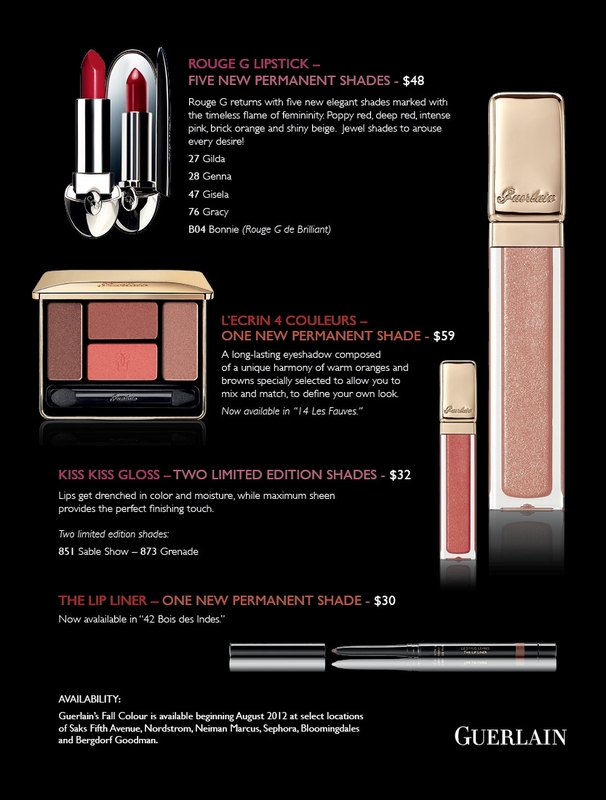 Guerlain’s fall collection pays tribute to these two juxtaposing looks and celebrates a woman’s ability to decide who she wants to be today. The Femme Fatale is steeped in passion and seduction and boasts beautiful red shades. The Femme D’Amour shades perfectly define the angelic, romantic woman with a vast color collection ranging from beige to plum. The look is innocent and fresh, yet still seductive and sensual. 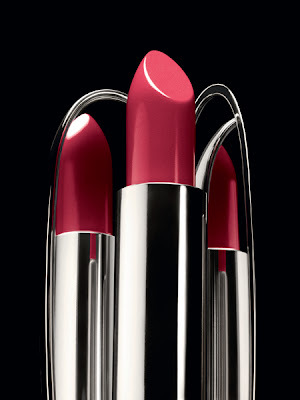 Rouge G returns with five new elegant shades marked with the timeless flame of femininity. Poppy red, deep red, intense pink, brick orange and shiny beige. Jewel shades to arouse every desire! The perfect smile starts with these key ingredients: radiance revealing Ruby Powder, light-reflecting liquid pearl particles, hyaluronic acid spheres and Gugul resin fill out the smile, Vitamin A Palmitate and Tiger Grass plump the lips and mango butter ensures softness. Designed to enhance the natural tone of the lips, Guerlain's newest shade redefines the shape of your lips while leaving them perfectly outlined. 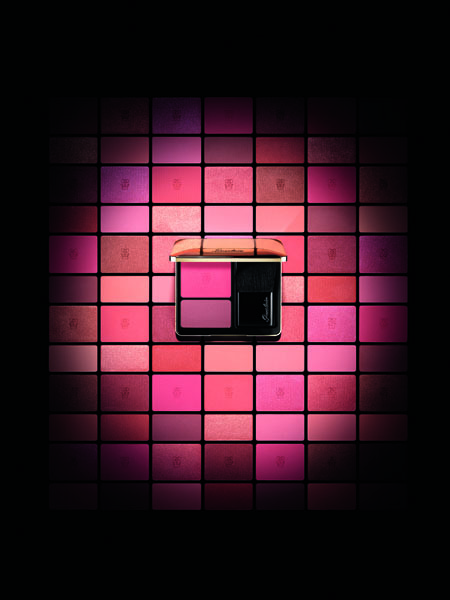 A long-lasting eyeshadow composed of a unique harmony of warm oranges and browns specially selected to allow you to mix and match, to define your own look. 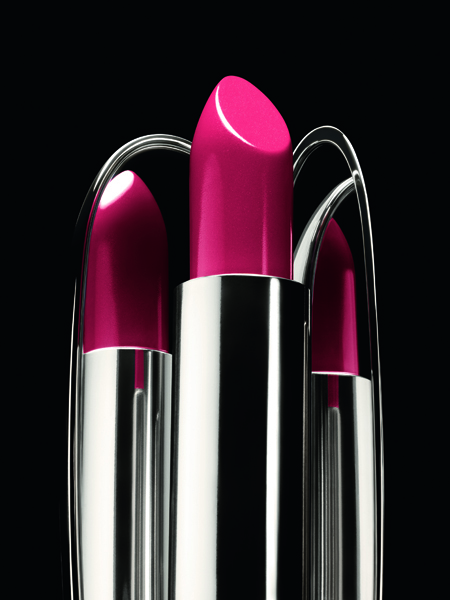 Lips get drenched in color and moisture, while maximum sheen provides the perfect finishing touch. 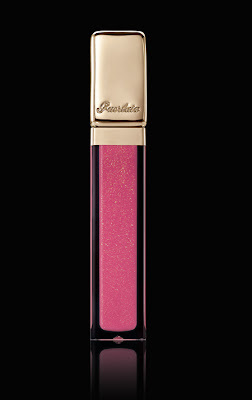 KissKiss Gloss kisses lips with long-lasting shine, color and comfort. 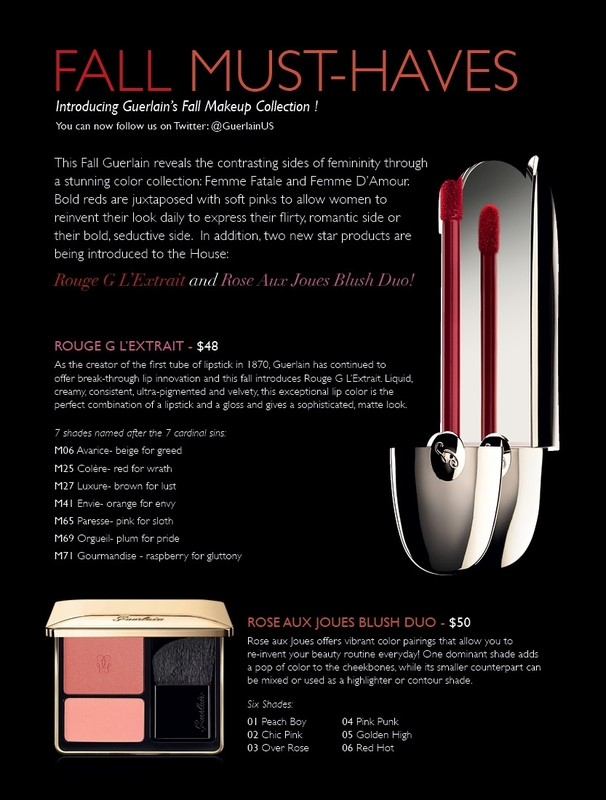 Guerlain’s Fall Color collection is available beginning August 2012 at select locations of Saks Fifth Avenue, Nordstrom, Neiman Marcus, Sephora, Bloomingdales and Bergdorf Goodman. What a stunning collection. Woooo so pretty! The new liquid matte lipsticks have caught my eye, too. I can't wait to see what they're like! Sigh...want the 14 Les Fauves eyeshadow palette and any one of the new blushes SO. BAD. Dear god, what a fabulous collection! My desktop wallpaper at the moment is those duo blushes... LEMMING! So much want from here! 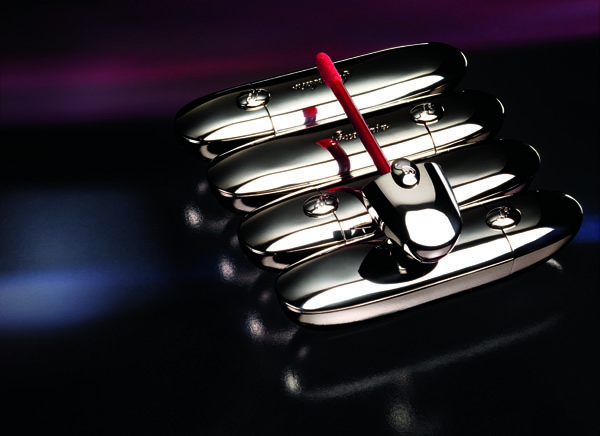 SO excited for the five new permanent Rouge Gs!